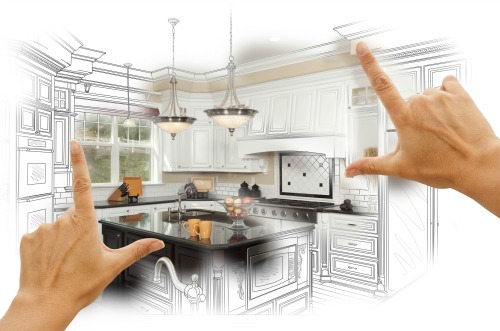 The kitchen cabinet is such a standard feature that it is not hard to imagine a homeowner taking it for granted or simply going with the standard options when planning to build or remodel their home. When the time comes to make this decision however, you might find that it is not as easy as you thought it would be. In fact, choosing kitchen cabinetry can be tough, and not just because you want the right look; but because of the functionality and customization as well. The material: Wood remains the most sought after material for kitchen cabinets, but there is a growing trend moving away from this standard. Now it is not unusual to see stainless steel and other metal used for kitchen cabinets. The most important thing is that the material should fit the overall kitchen design. The fittings: Choosing the wrong knobs or handles for cabinets can be counterproductive. After you make this big investment, you can’t afford to spoil the look by using the wrong hardware. Traditional knobs may not work with some of the more modern options. If you are remodeling, look at pictures to decide how well they will work with your cabinets before you make any purchases. The finish: If you decide to install wood cabinets, what will the finish be like? This is important, because even though the natural look of wood is attractive, it is not your only option. More people are opting for color in their kitchens, and this goes for cabinets and appliances, too. Door types: In the past, many kitchen cabinets had doors built to show the frame of the storage space. For a cleaner look, you can choose larger doors that hide the cabinet frame. Designs that hide the hinges also contribute to a sleeker look. Finally, ask yourself a few questions before you start planning for your kitchen cabinets. Are you renovating to sell, or do you plan to remain in the home? Can you make changes to existing cabinets to get the desired effect? Also, think about the overall style of your kitchen, because anything you choose must be able to work in the space. Kitchen cabinets are one of the primary focal points in any kitchen. They have to look amazing! It’s 2016; be creative and search until you find the most unique cabinets to fit your newly designed kitchen. Contact us at 480-895-3442 if you’re interested in installing new cabinetry in your kitchen.